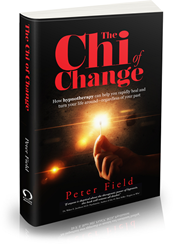 A ground breaking book 'The Chi of Change' by leading British hypnotherapist Peter Field that promises to dramatically enhance the lives of readers is set for publication on May 30th. This spellbinding and inspirational book will resonate with anyone who has ever experienced emotional or mental difficulties—and is seeking a lasting solution. A genuinely ground breaking book that will change forever the way you think about your feelings. The book, 'The Chi of Change: How Hypnotherapy can help you rapidly heal and turn your life around—regardless of your past', is being hailed as a 'must-read' for anyone suffering from anxiety, panic, depression, overeating, fear, phobias, addiction, insomnia, trauma and low self-esteem. It reveals how anyone can overcome such disturbing states and live a balanced, meaningful life in confidence and harmony—without resorting to prescription drugs. 'The Chi of Change' shows how our subconscious mind becomes 'programmed' to make us feel the way we feel; how these programs can be rapidly changed through the right kind of hypnotherapy; and how even the most difficult feelings and emotions can be used to transform a person’s life for the better. 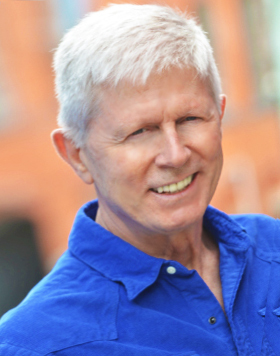 He writes that healthy living can be accomplished through harmony with a person's chi—the "life force" based on energy and information which is manifested in what we call "feelings". This spellbinding and inspirational book will resonate with anyone who has ever experienced emotional or mental difficulties—and is seeking a lasting solution.